Learn how to do 3 easy picture tricks: the Bow and Arrow, Eating Pizza, and Eating Spaghetti. 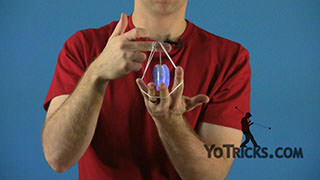 In this video I am going to teach you 3 easy picture tricks that are also a little bit silly. They are Shoot the Arrow, Eating Pizza, and Eating Spaghetti. To start off with Shoot the Arrow, what you want to do is get a really good Sleeper. 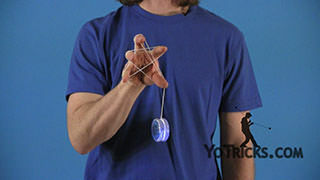 Then you are just going to stick your yoyo hand in front of you and make kind of an L shape with your thumb right here. 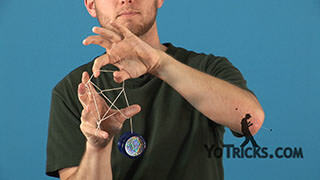 Then you are going to pinch the string with your opposite hand, and pull the string right through the L. Once you have it setup here, all you want to do is take aim, and when you have your shot lined up, you just let it go. 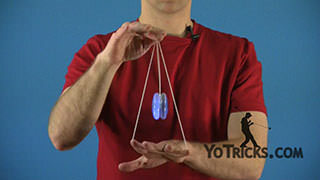 What makes this trick work is obviously you have to have a very responsive yoyo that comes back really easily when you pull on it. 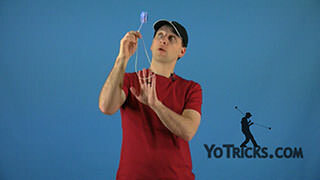 That way as long as you have enough spin, when you release the arrow the yoyo will come right back up and you get that satisfying feeling. Once you have the Arrow down, then you can move on to Eating Pizza, which is a really similar trick. 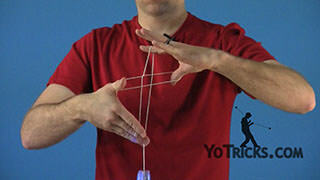 For this one, what you are going to do is you are going to pinch the string with your opposite hand. 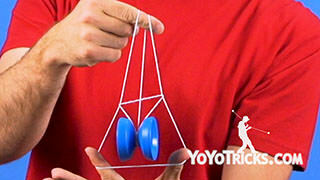 Then come down here and pinch the string just above the yoyo with your yoyo hand. Then insert your thumb where your two fingers are, and open it up. You can see that now you have a nice slice of pizza. In order to eat the pizza, all you need to do is, as you take a bite of the pizza, you can see that the piece shrinks. 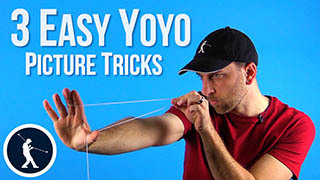 To achieve that, all you are going to do is let the string slide through your fingers on your yoyo hand a little bit. You an see that shrinks the piece of pizza. Do it with the right timing, you know, maybe add a couple sound effects. Then you have Eating Pizza. If that did not satisfy you, you can also Eat Spaghetti. That looks like this. 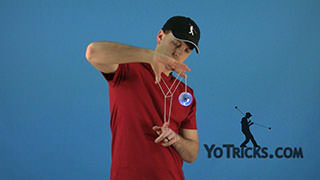 All you are going to do is pinch the string with your opposite hand, then you are going to bring it up and pinch it again with your yoyo hand. You can see that it makes these little spaghetti pieces. Do that a few times so that it looks like you have a bunch of spaghetti. 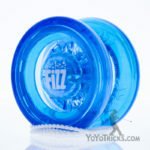 Position it right under your mouth, and make sure to slurp as you drop the yoyo. 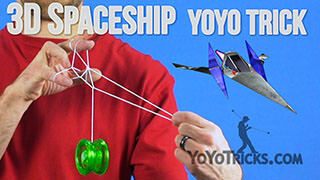 And, of course, it gives the impression that you are pulling the yoyo up to your mouth like a piece of spaghetti. 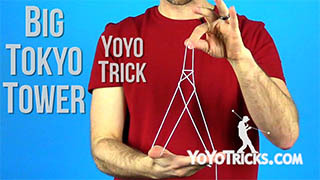 If you want to add to this trick, make it a little bit more fun. You could always put a little bit of cheese on it. Mmmmmm… make sure to wipe, wipe off whatever sauce you got on your face. It is a good thing I’m wearing red. You don’t want to stain your shirt with marinara. 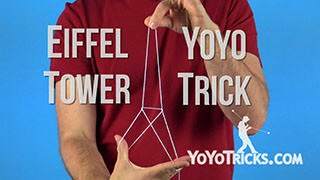 Those are 3 easy, but also kind of silly, picture tricks.